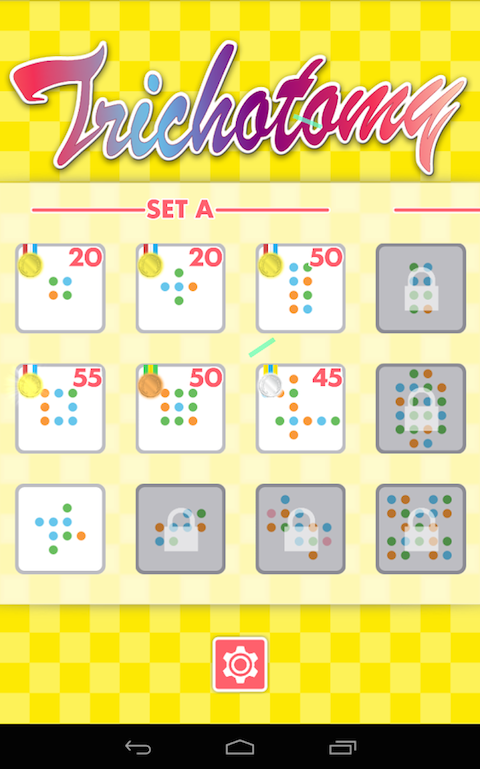 Trichotomy is a challenging puzzle game with a unique twist on the classic hand game rock-paper-scissors (三すくみ拳) which makes you think hard before making a move and so can help with 'brain training'! Could you be a Trichotomy Master?﻿ Water extinguishes fire, fire burns flora, and flora takes up water. Based on these simple rules, remove as many game pieces as possible based on how neighbouring elements interact with each other. 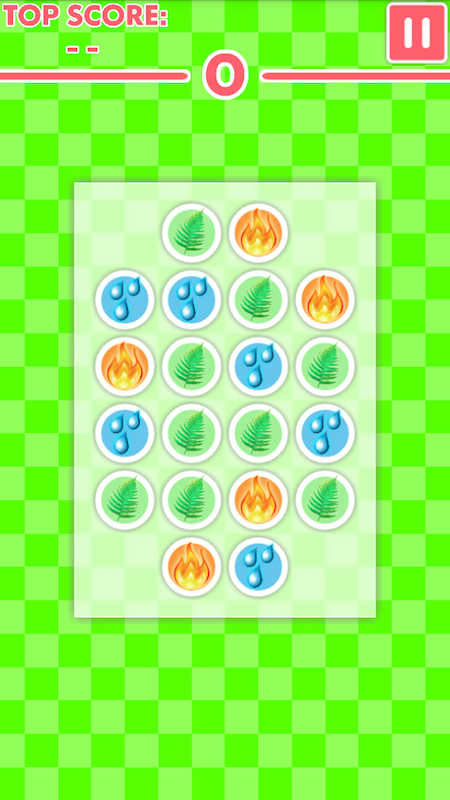 Medals are awarded based on the number of elements remaining on the board. 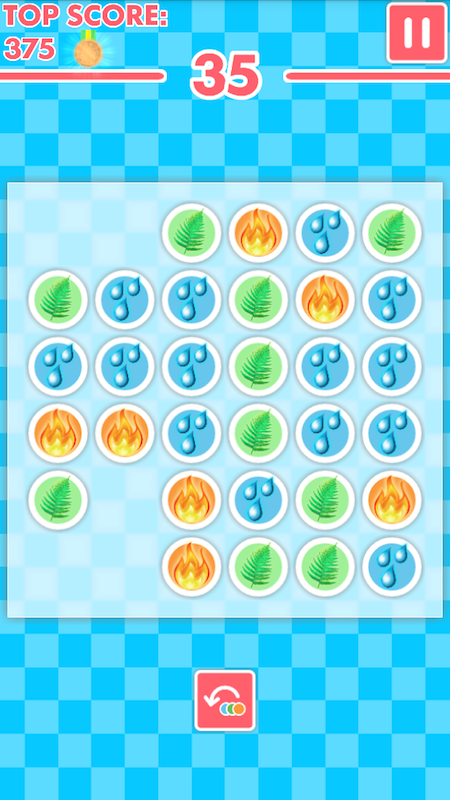 Complete a board with only one element remaining to solve the trichotomy and win gold! Trichotomy is a total free app with no adverts or in-game purchases, and by downloading this app you are helping to support independent hobby developers such as myself. Thank you!